Retail inflation eased further to nearly 3-year low of 3.41 per cent in December, reflecting weak demand as consumers grappled with cash crunch following demonetisation. The decline in retail inflation has been mainly on account of falling prices of vegetables and pulses. This is the lowest level at least since January 2014. The Consumer Price Index (CPI)-based inflation stood at 3.63 per cent in November 2016, as per the data released by the Ministry of Statistics and Programme Implementation. A year ago, in December 2015, retail inflation was at 5.61 per cent. 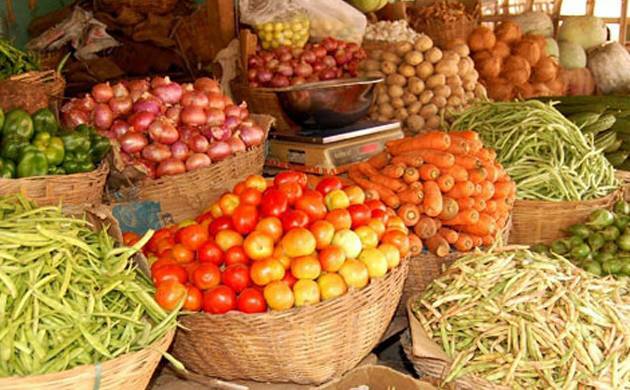 Inflation in vegetables category slipped further in the negative territory to (-)14.59 per cent, as against 10.29 per cent in November. Likewise, prices of pulses and products also slipped further in negative territory at (-)1.57 in December. However, inflation in fruits came in at 4.74 per cent, slightly up from November’s 4.60 per cent. Cereals and products at 5.25 per cent too showed a rise in inflation print during the month against 4.86 per cent in November. Protein rich meat and fish had inflation print of 4.79 per cent in December, as against 5.83 per cent in November. Egg prices witnessed 6.41 per cent rise, as against 8.55 per cent in the previous month. Prime Minister Narendra Modi’s surprise announcement on November 8 to scrap Rs 500 and Rs 1,000 notes, nearly 86 per cent of the total cash in circulation, resulting in lower consumer demand. Overall, the Consumer Food Price Index was down at 1.37 per cent in December compared with 2.11 per cent in November. The CPI-based inflation in fuel and light segment was at 3.77 per cent in December as against 2.80 per cent a month ago. Rural retail inflation stood at 3.83 per cent in December compared with 4.13 per cent in November. For urban sector, it was recorded at 2.90 per cent as against 3.05 per cent in the previous month.